Minimize downtime and keep your fleet moving by repairing small punctures and leaks on vehicle and equipment tires with these patches, sealants, and plugs. Suitable for vehicles that use inflatable tires, such as trucks, cars, ATVs, mowers, motorcycles, and golf carts. 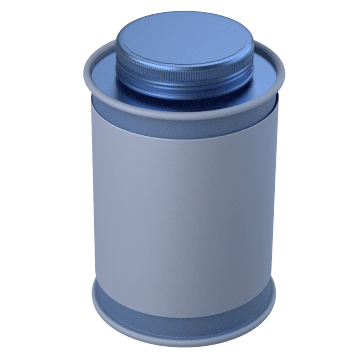 Temporarily fix flat vehicle or equipment tires using these sealants so you can get to a repair shop for a more permanent repair. 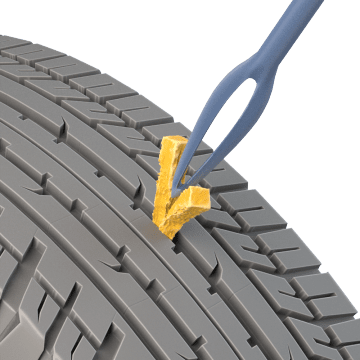 Tire sealants coat the inside of the tire to plug minor punctures on the tire's tread surface without having to take the tire off its rim. Plug minor punctures on the tread surface of vehicle or equipment tires with these patches to extend the life of the tire and avoid the cost of replacing it. 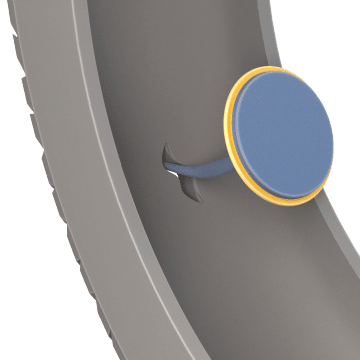 The tire must be removed from the rim so the patch can be applied over the hole from the inside of the tire. 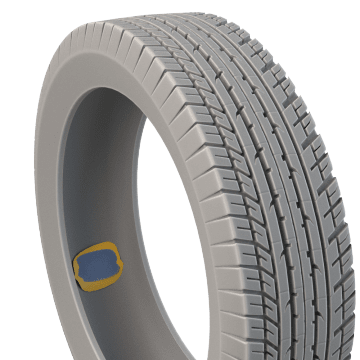 Tire plugs create a more positive seal and can repair larger holes on a tire's tread surface than standard tire patches, helping you prolong the life of your tires and avoid the cost of replacing them. Remove the tire from the rim and pull the plug stem through the hole to fill it. 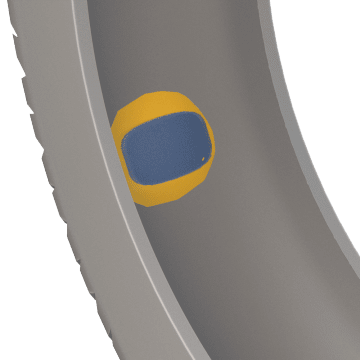 The plug's integrated patch seals the hole from the inside of the tire to keep air from escaping and prevent water from seeping into the tire. 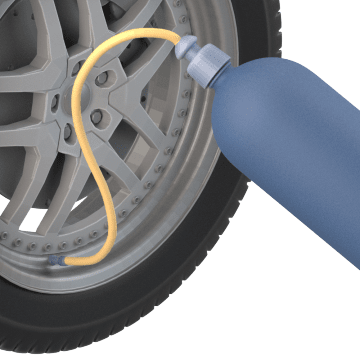 Fill tire punctures without having to take the tire off the rim. Just push one of these string plugs into the hole to repair the tire's tread surface. 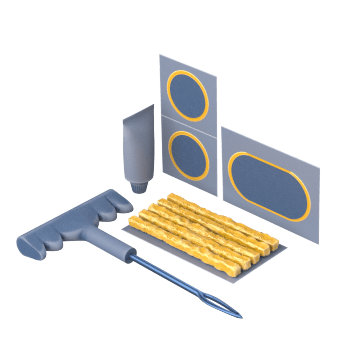 These kits include the tools you need to repair holes in vehicle or equipment tires, and they save you time compared to buying the tools individually. Securely affix patches or plugs to tires using this cement, which bonds the patch with the tire surface.